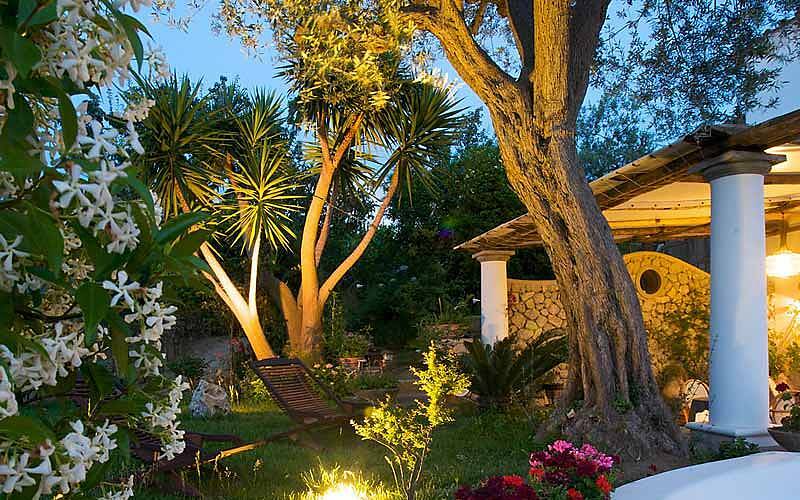 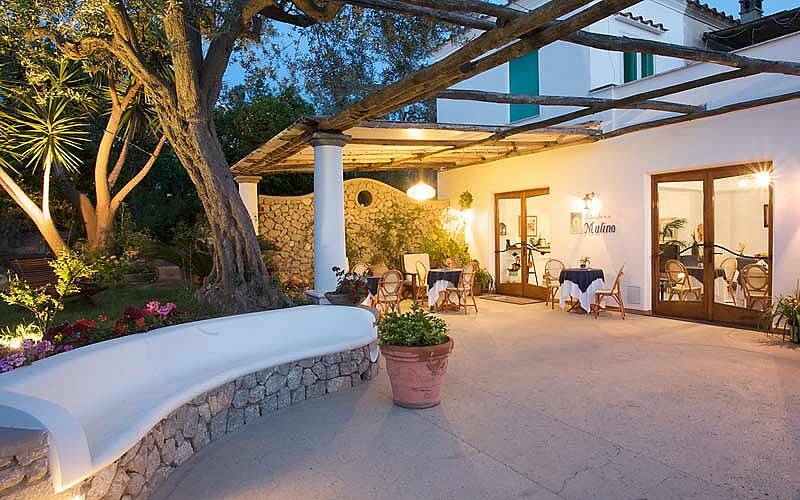 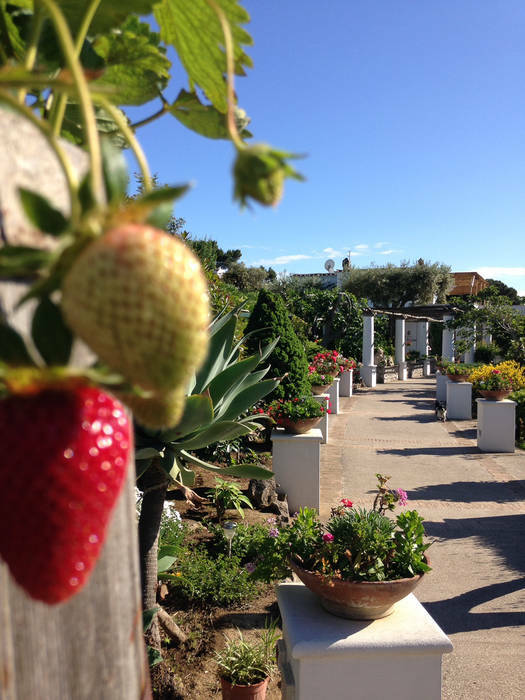 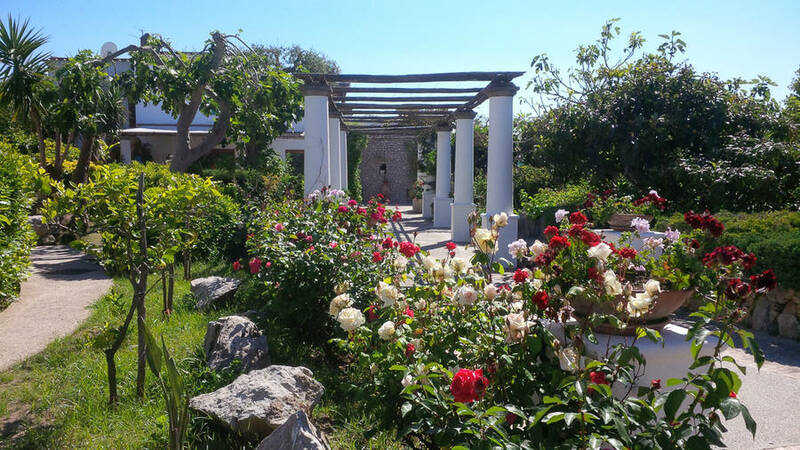 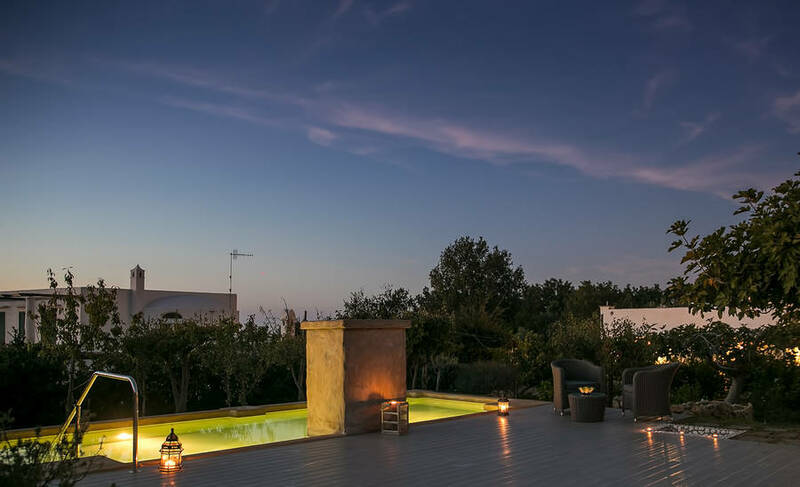 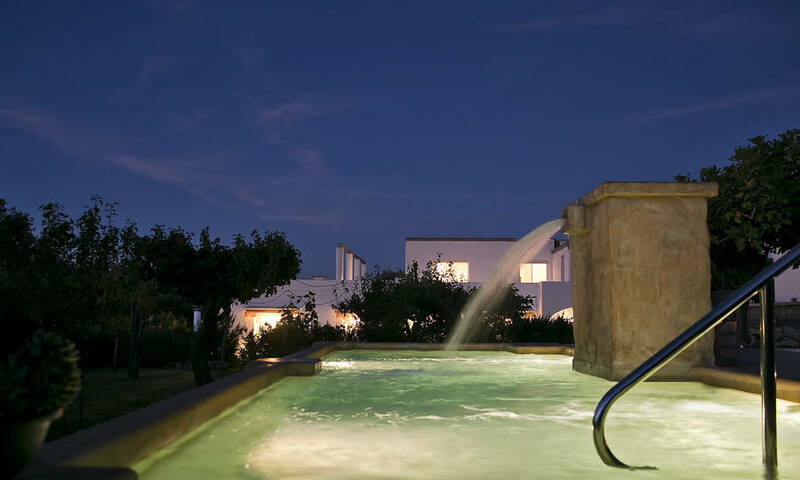 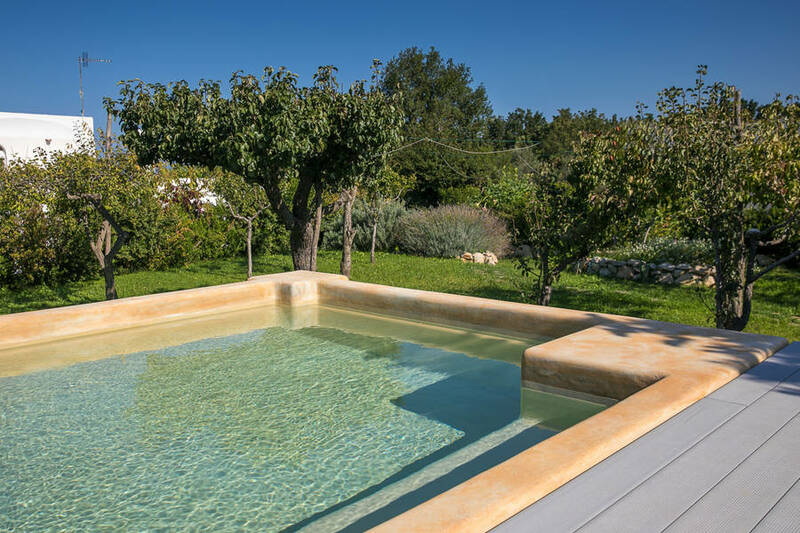 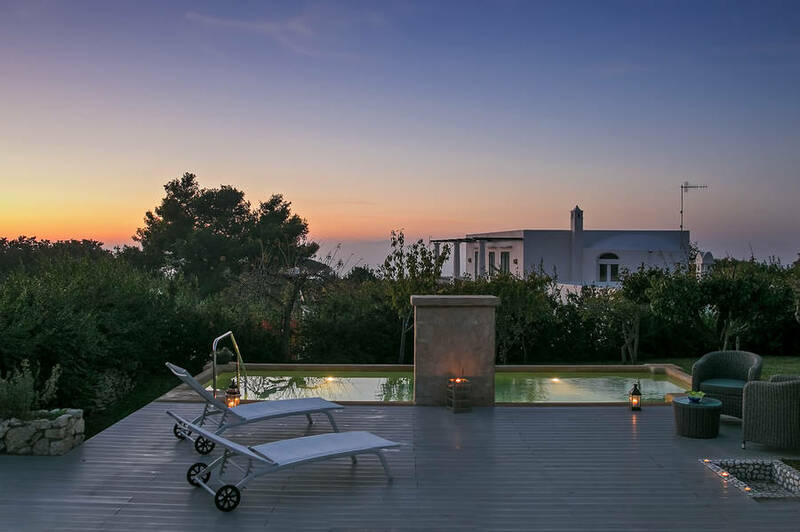 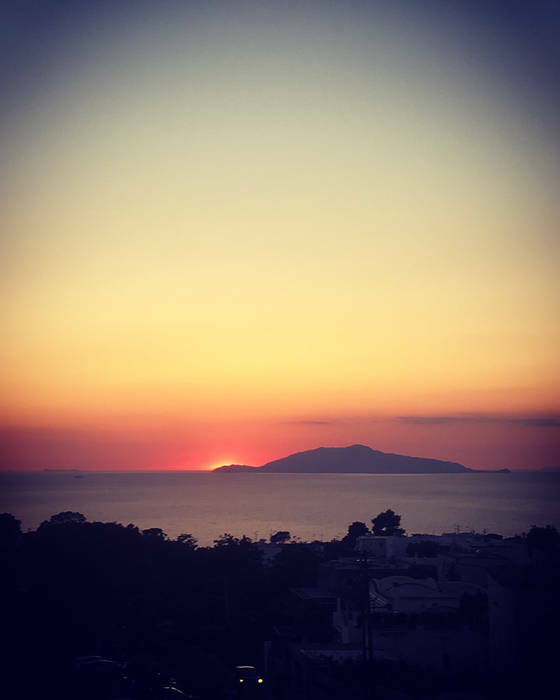 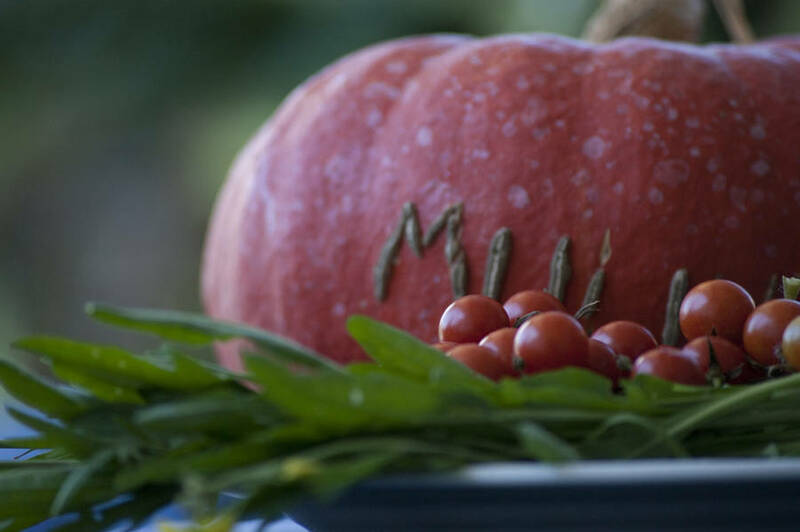 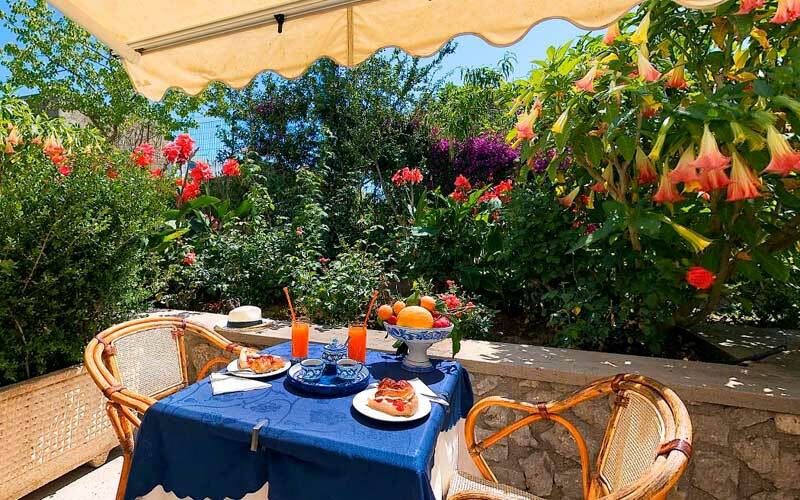 Occupying a beautifully restored farmhouse in the peaceful countryside of Anacapri, Hotel Al Mulino enjoys a fabulous location: within easy walking distance of the historic center of Anacapri, the sea, and Capri's legendary Grotta Azzurra. 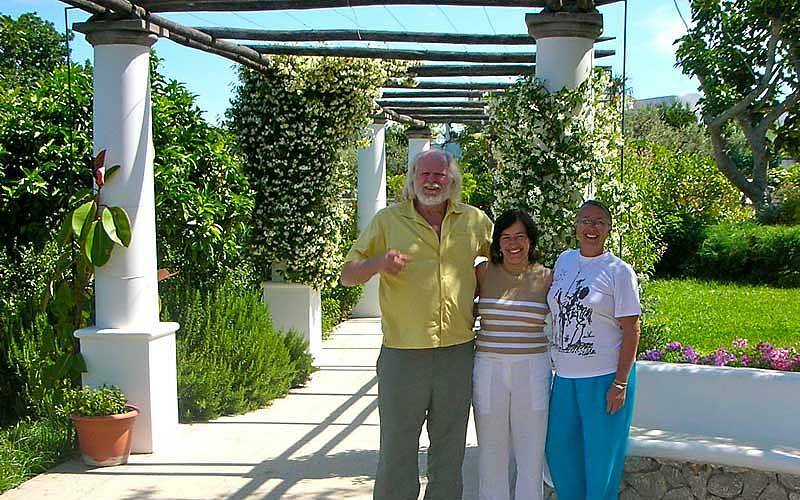 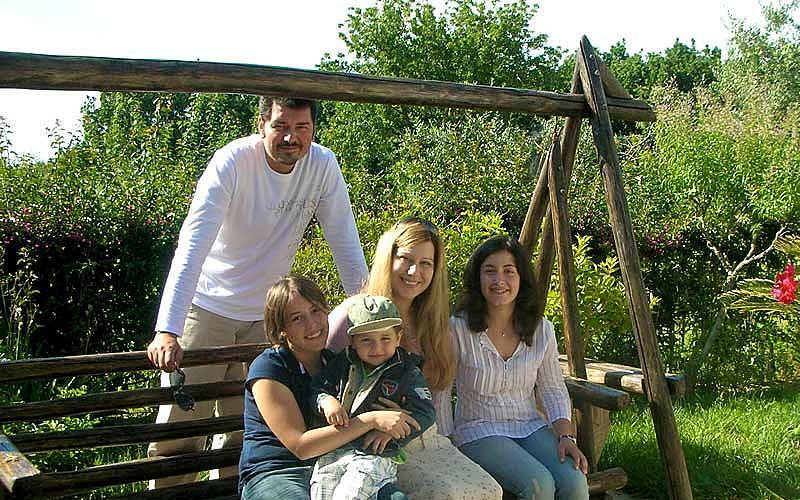 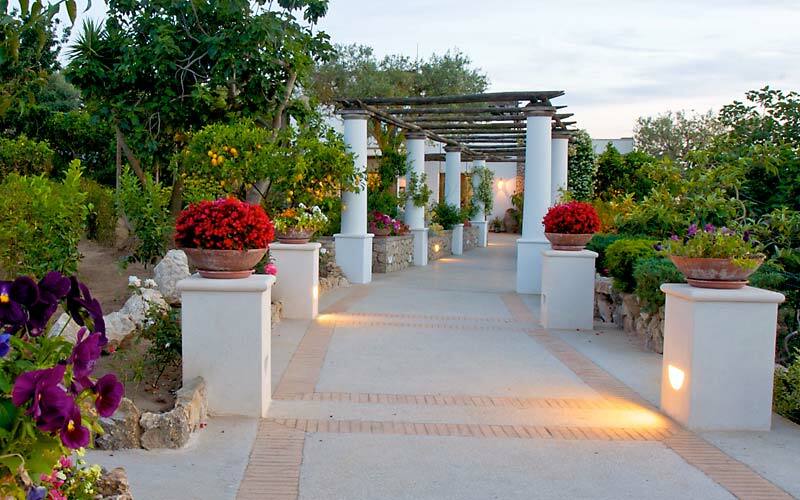 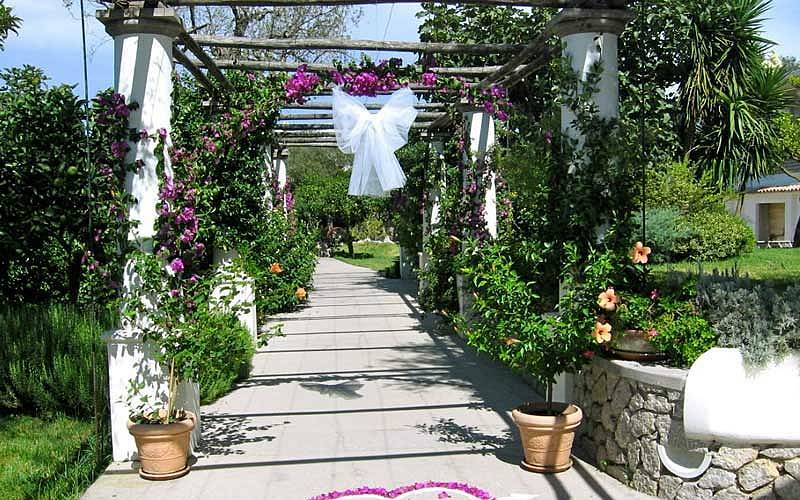 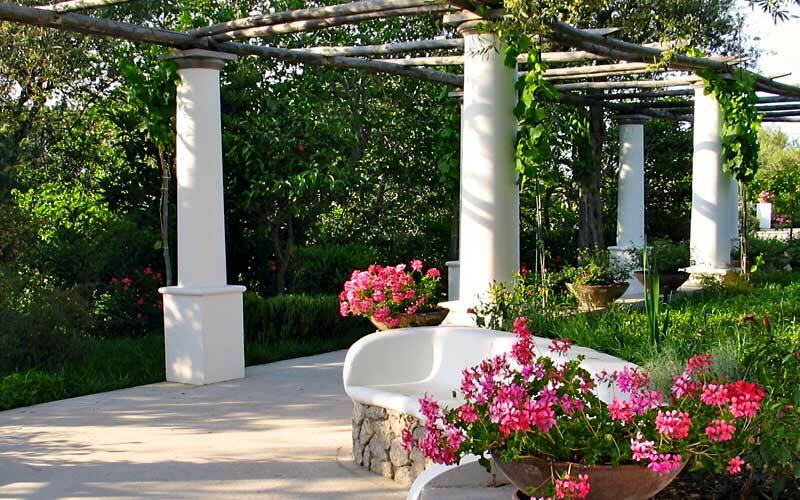 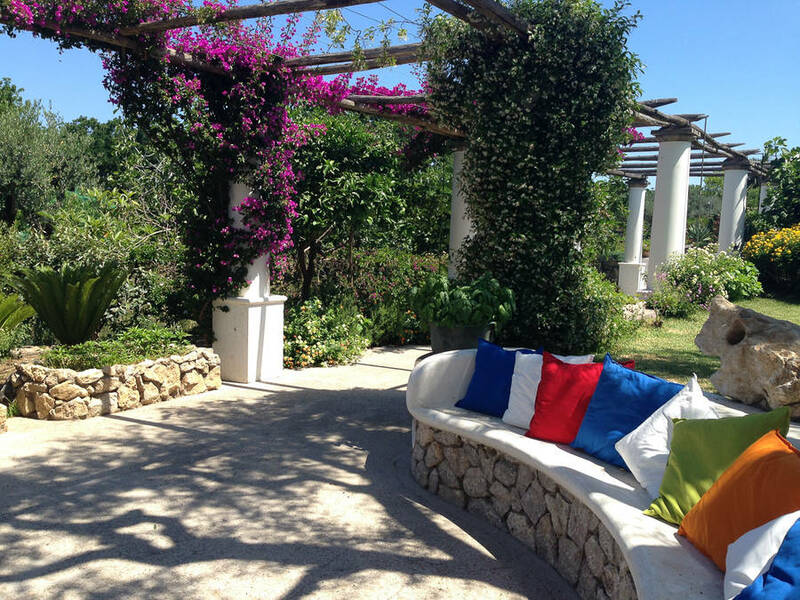 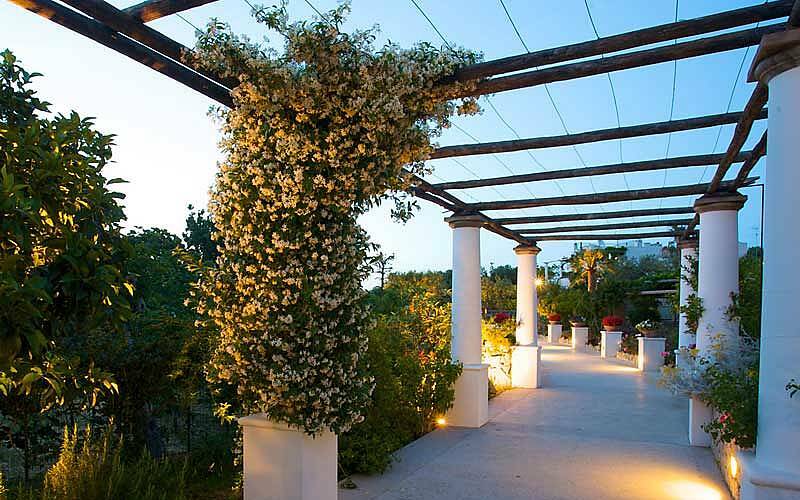 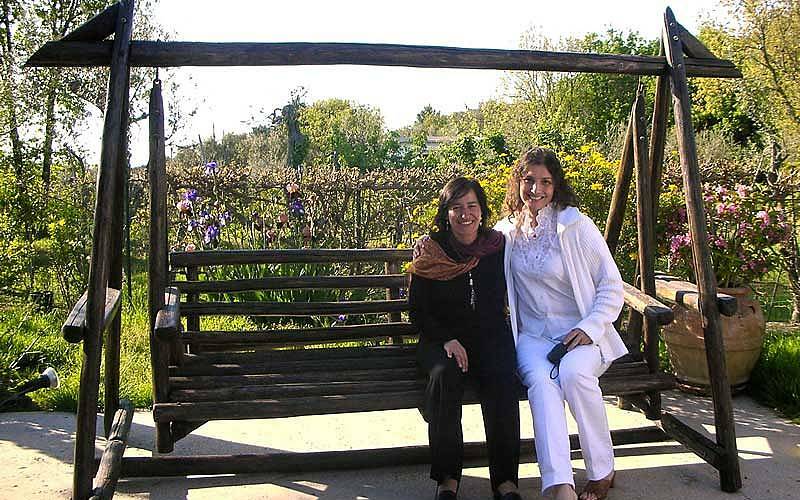 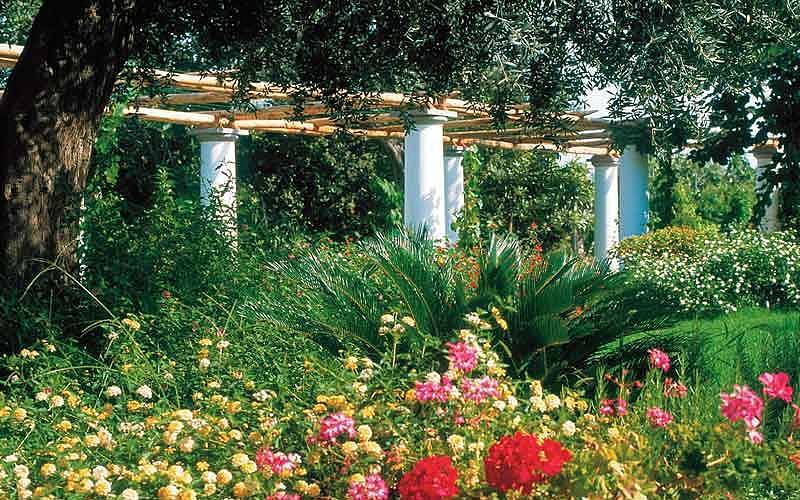 A white columned pergola, typical of the island, leads to the entrance of the hotel, surrounded by a garden abundant in sweet smelling jasmine and geraniums. 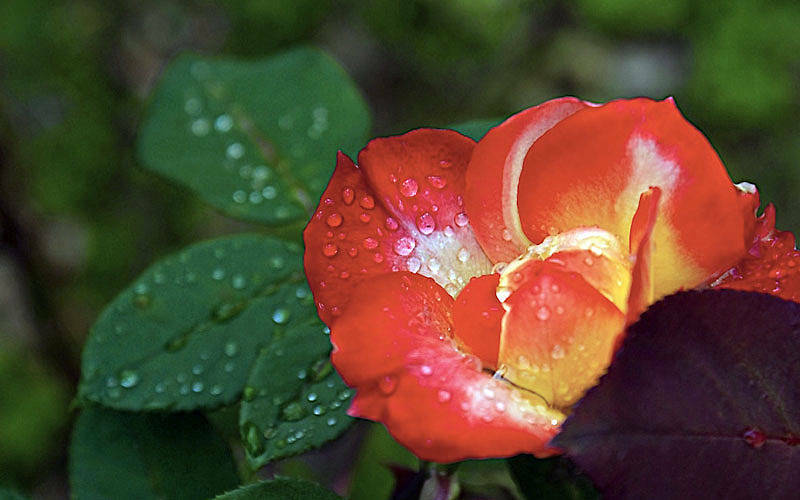 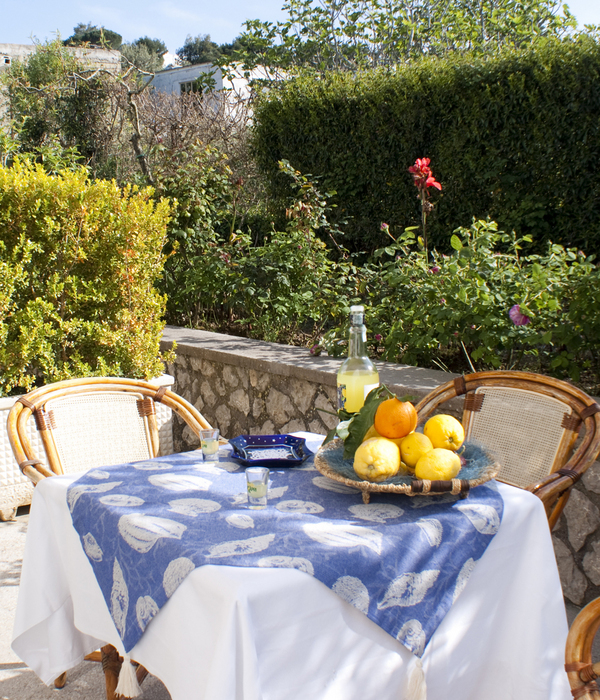 All rooms open out on to a private terrace overlooking the garden. 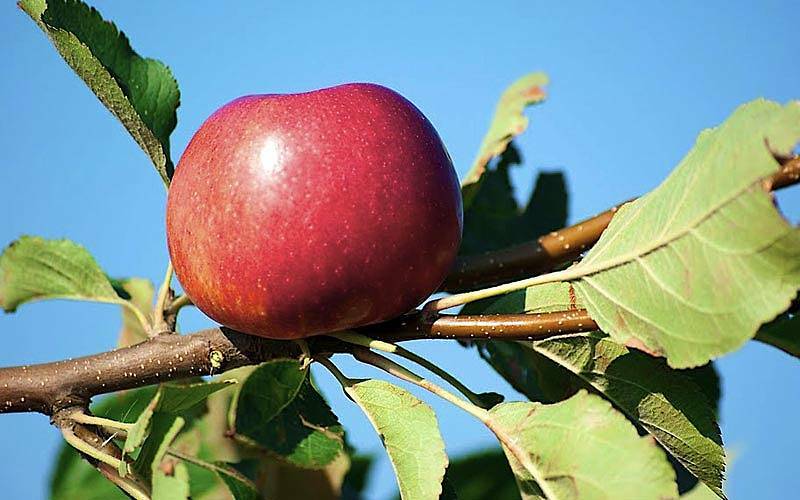 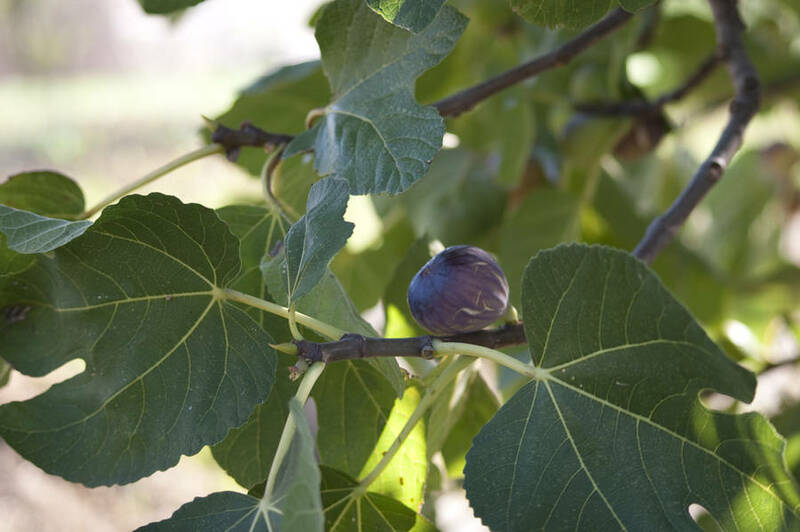 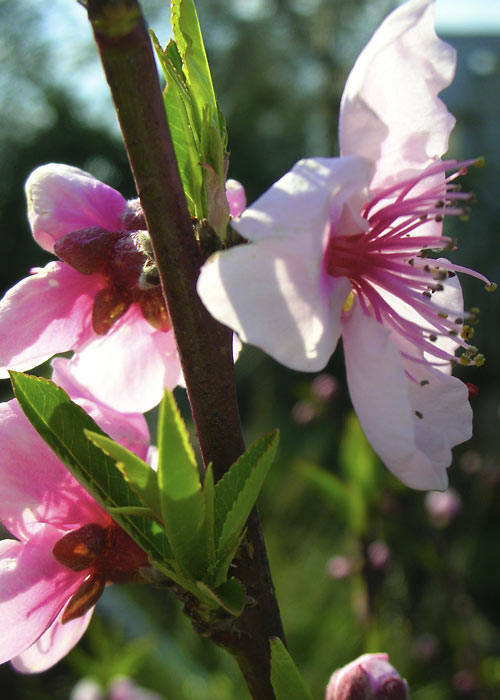 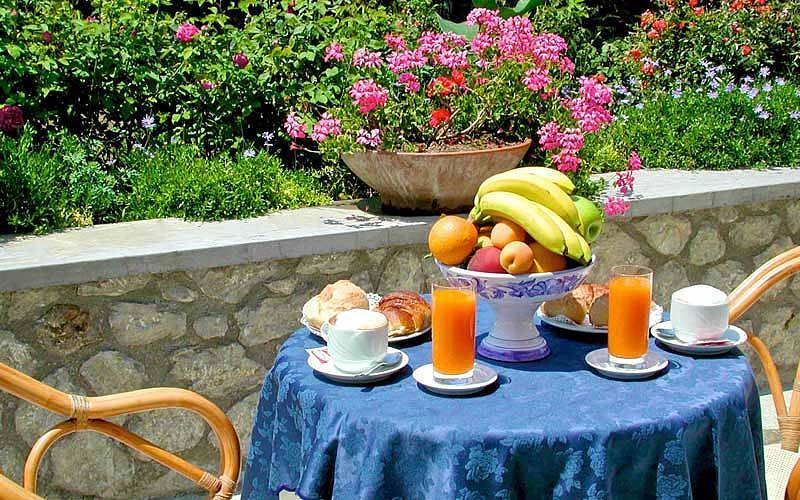 A generous breakfast of homemade cakes and seasonal fruit, grown in the hotel's fruit orchard, provides the perfect start to the day. 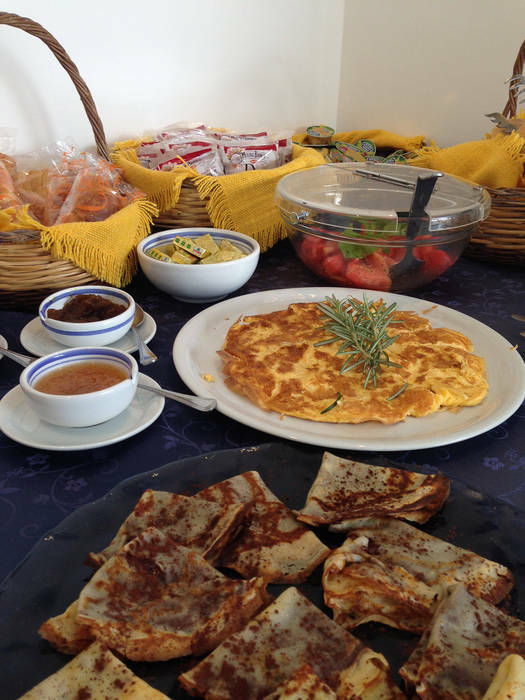 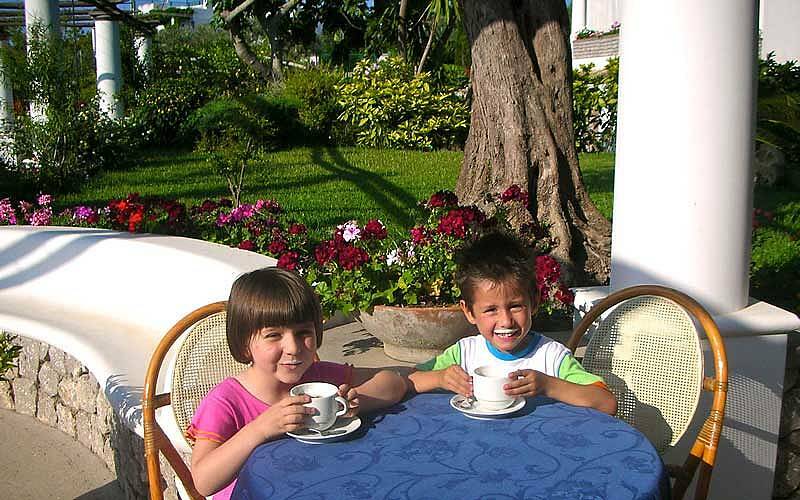 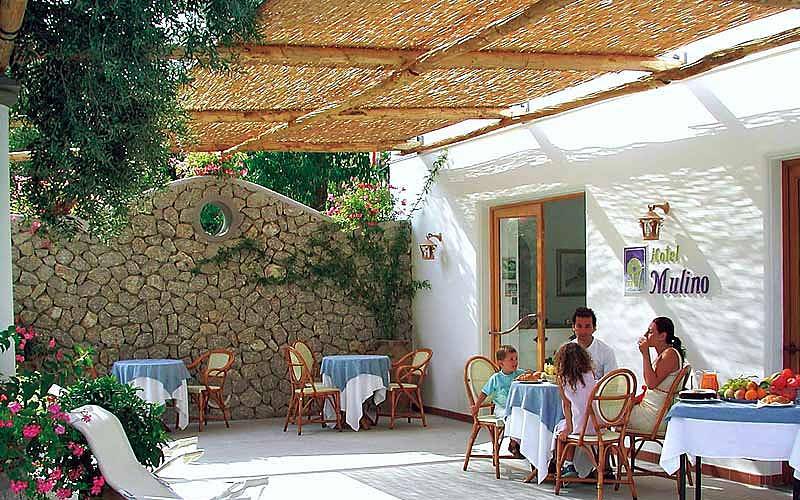 In the warm summer months, breakfast is served 'al fresco' on Hotel Al Mulino's sunny terrace. 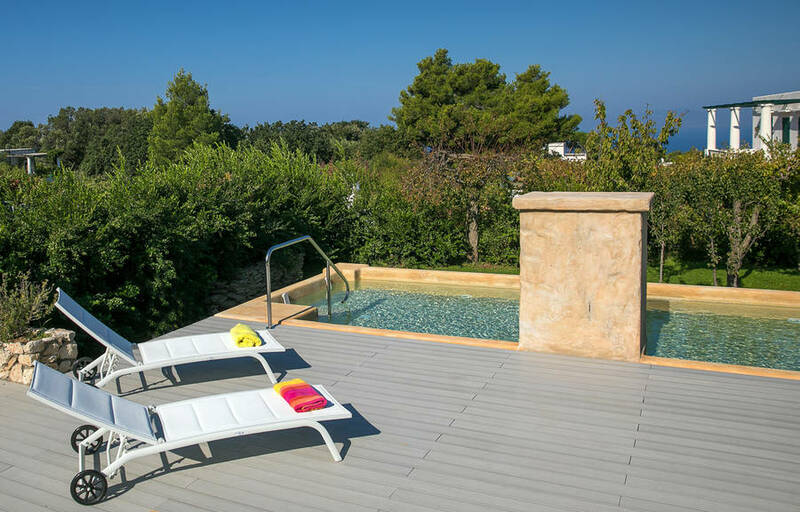 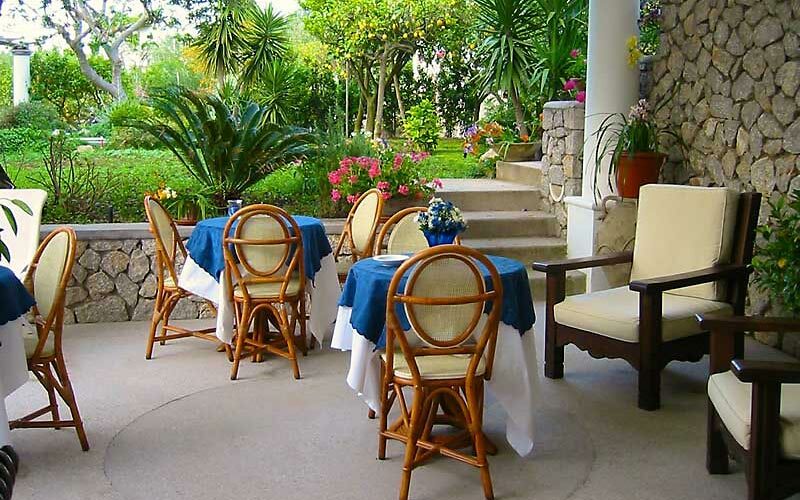 During the day, guests might easily be found in the gardens, relaxing in one of the attractive seating areas or in the shade of the lemon grove. 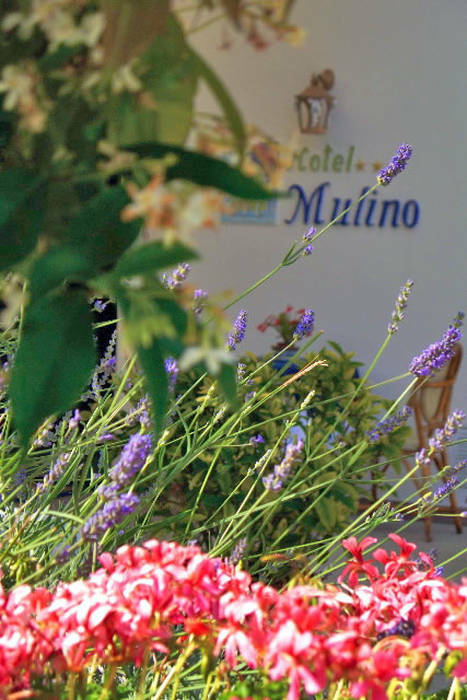 On your arrival on the island, at the port of Marina Grande, you'll be greeted by a representative and accompanied to Al Mulino with the hotel's private shuttle service. 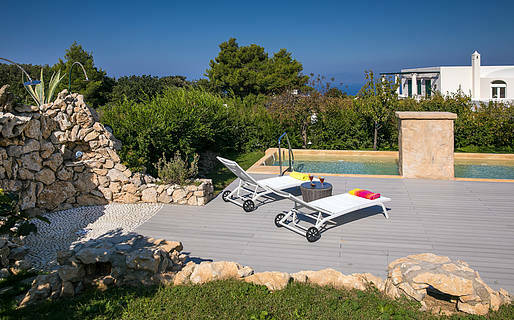 Reception staff will be pleased to organize guided tours, excursions, boat trips, scooter hire and massages. 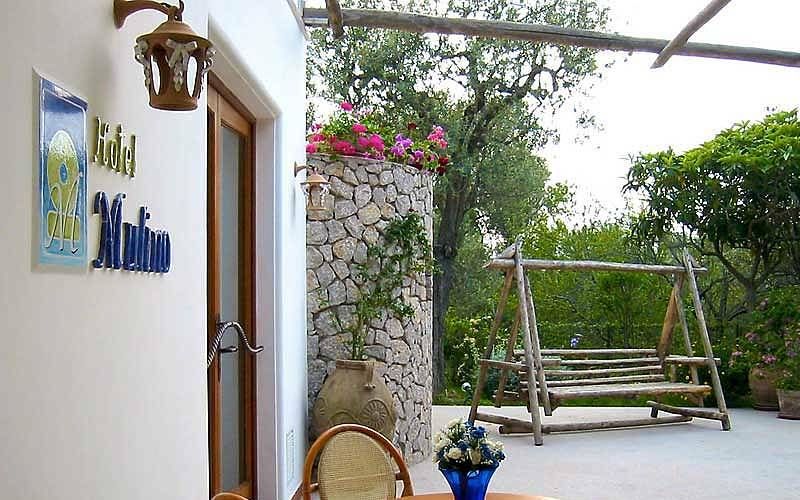 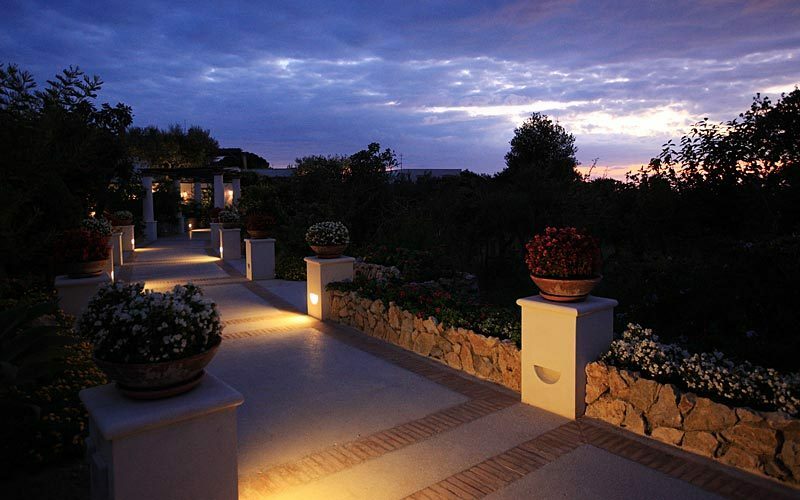 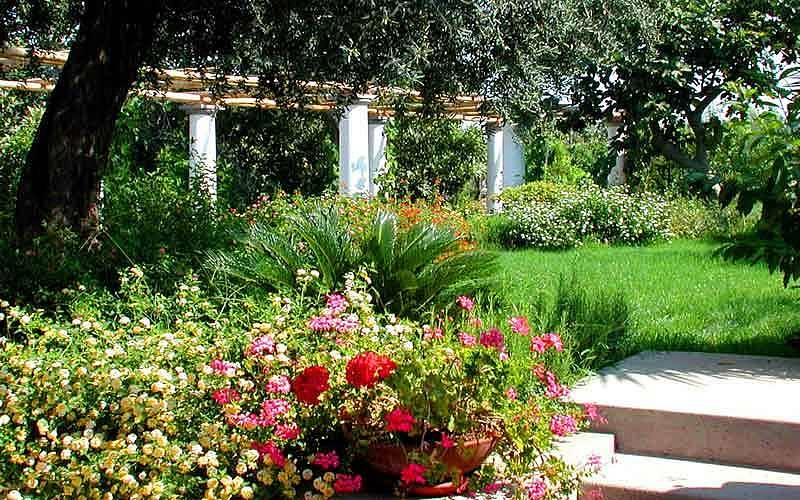 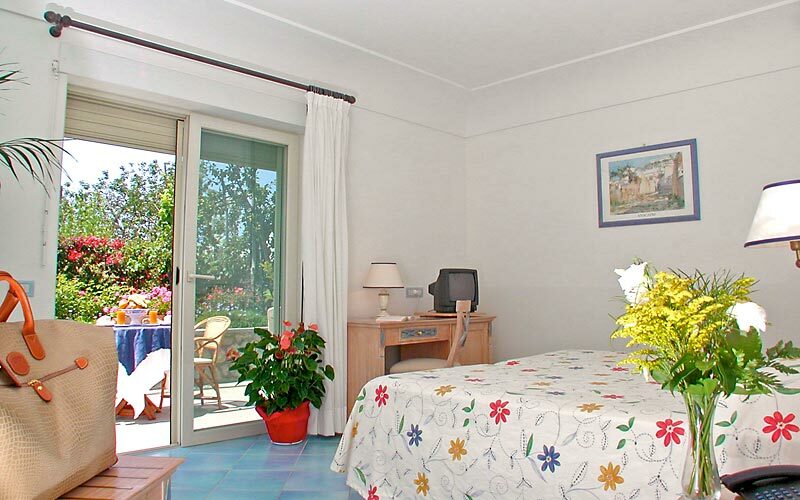 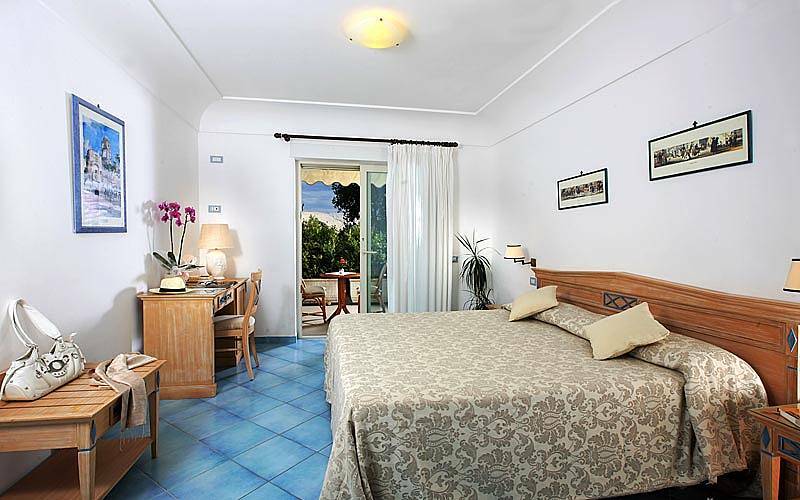 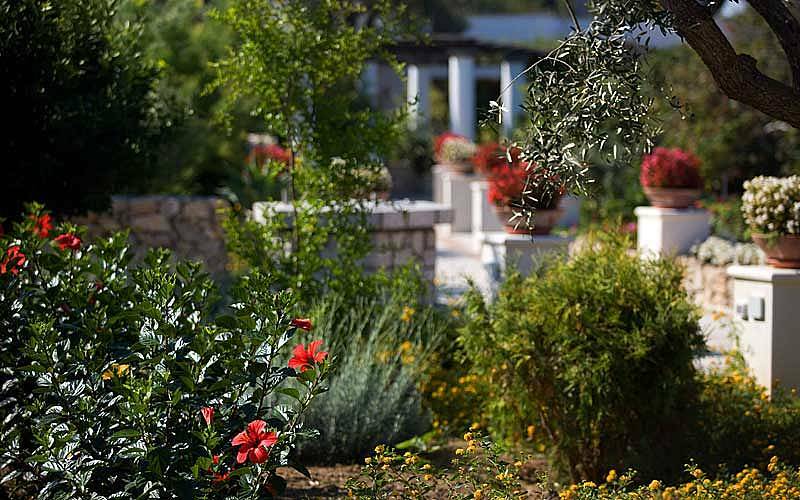 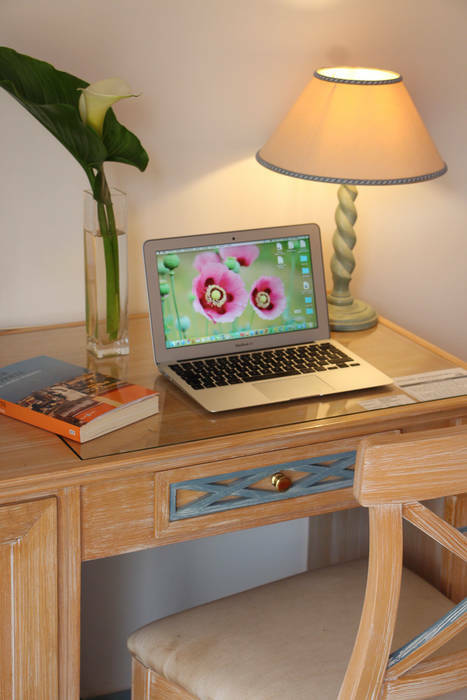 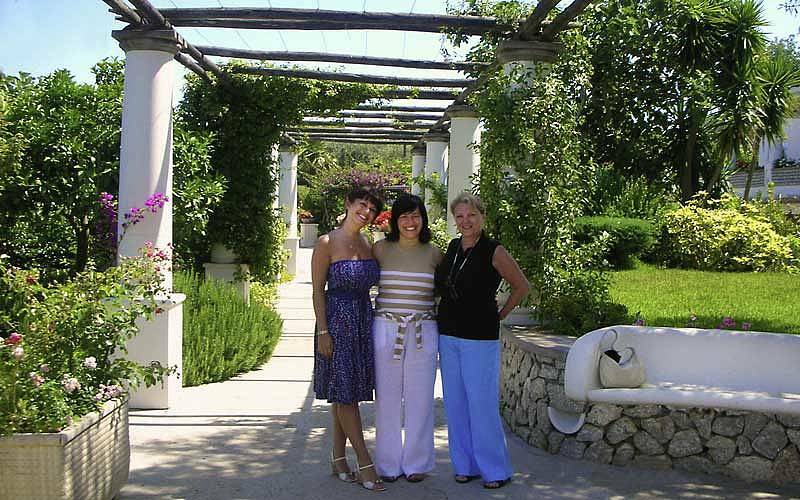 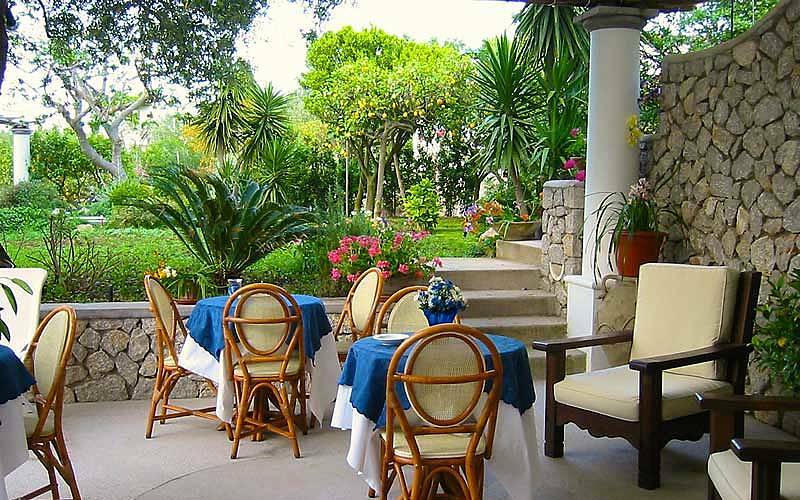 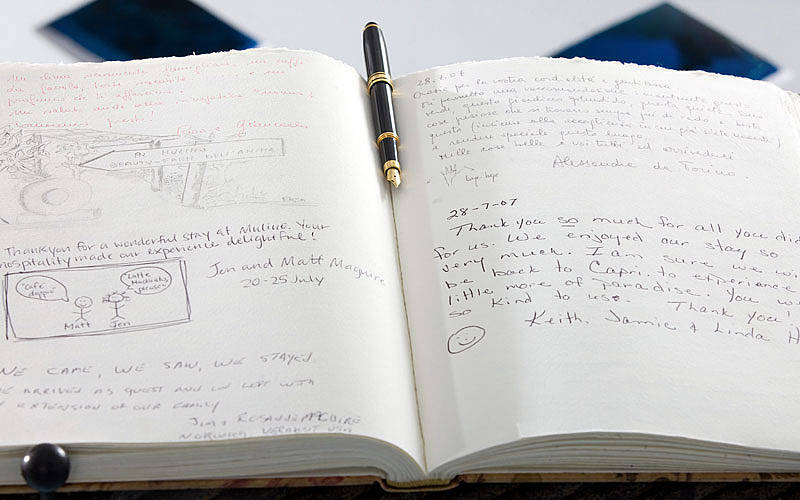 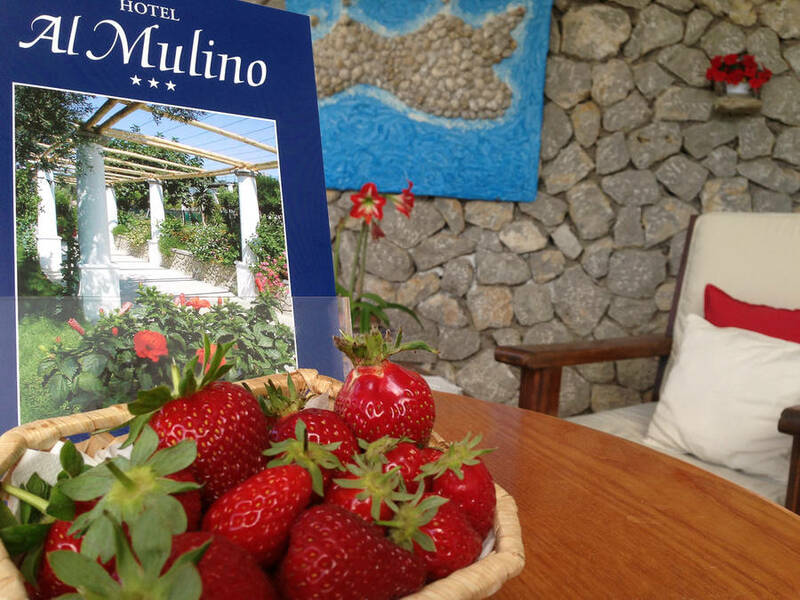 Hotel Al Mulino is situated just a ten minute walk from the center of Anacapri. 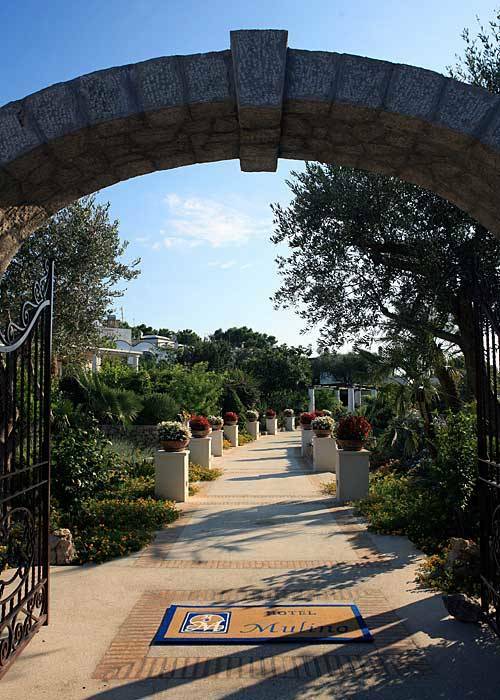 You can reach the hotel by bus, taxi, scooter or even helicopter (the island's heliport is just meters away). 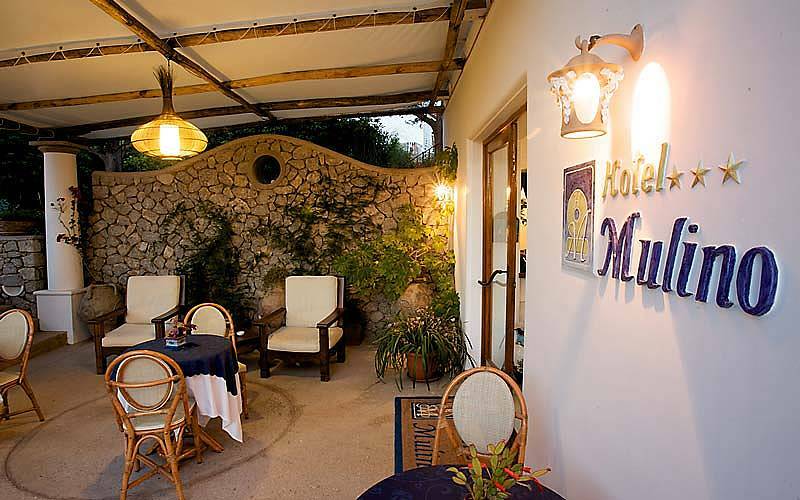 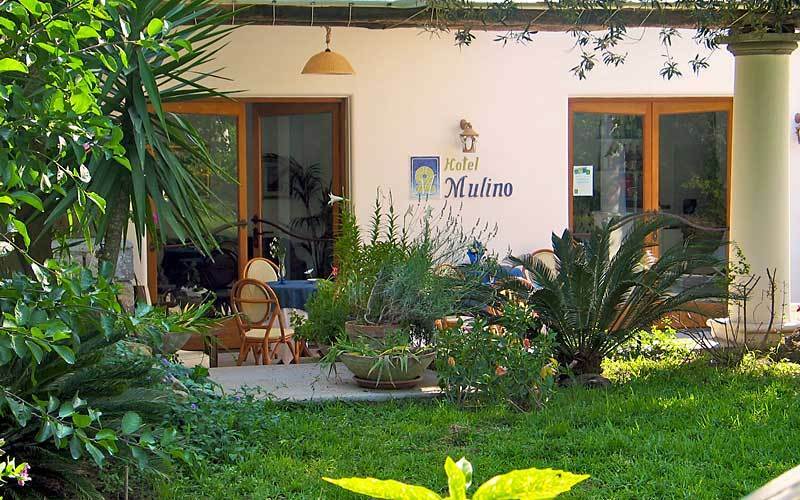 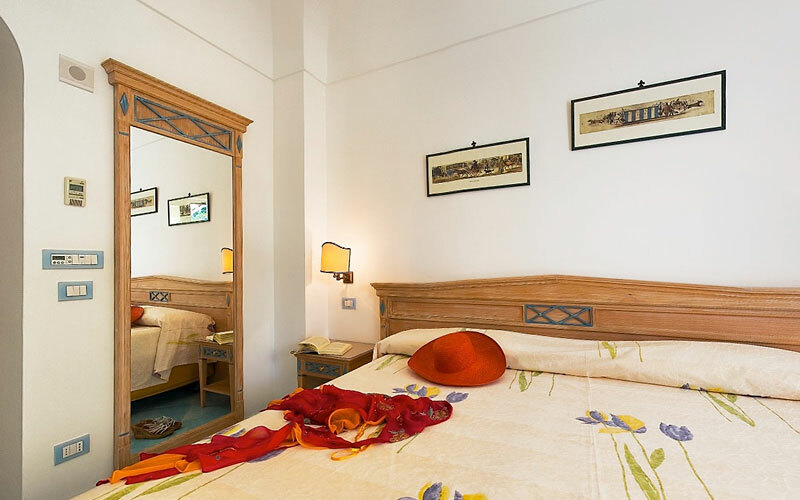 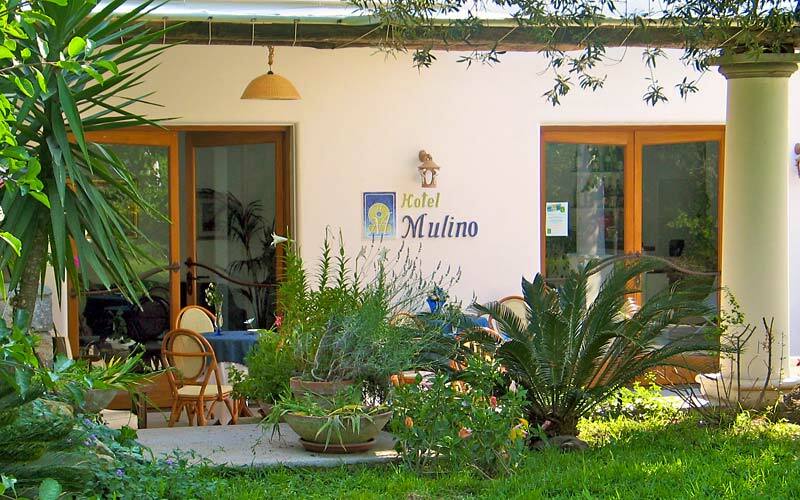 Hotel Al Mulino is located close to the Damecuta Archaeological Park, on the road which links the center of Anacapri with the legendary Grotta Azzurra, one of Capri's most popular tourist attractions. 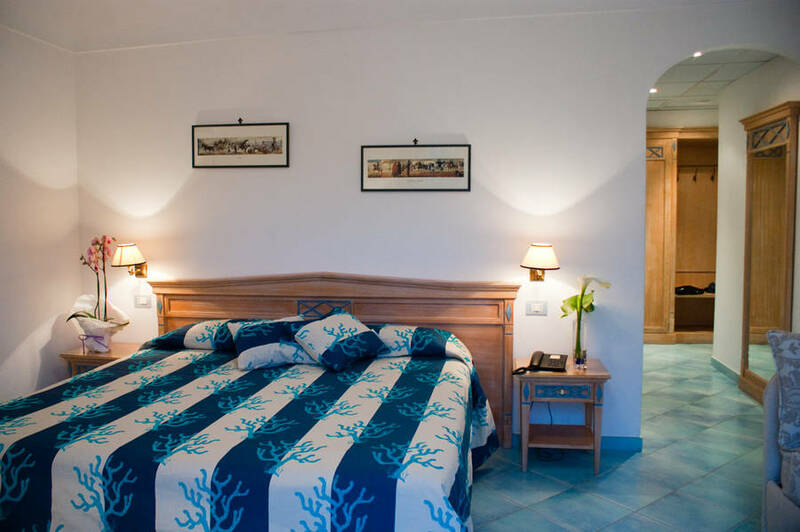 The hotel provides a shuttle bus service to and from the port of Marina Grande. 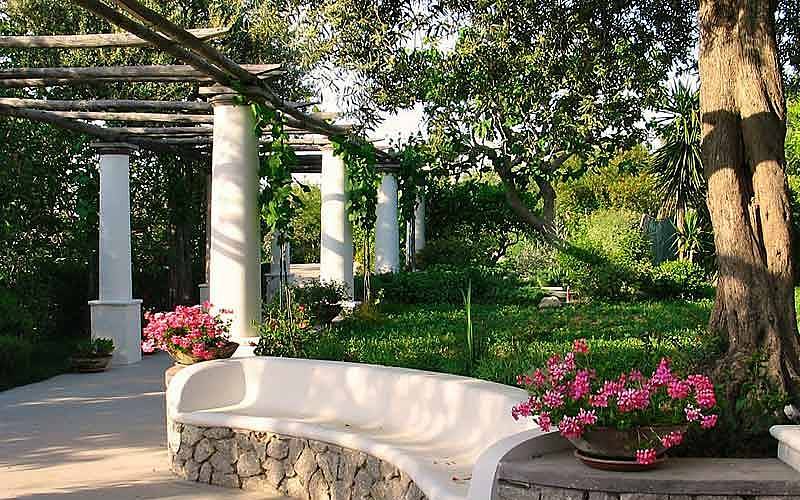 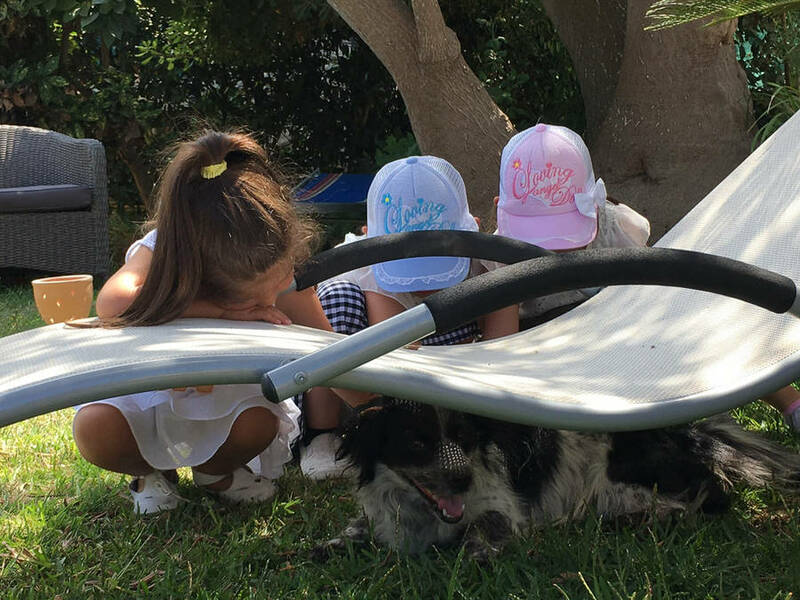 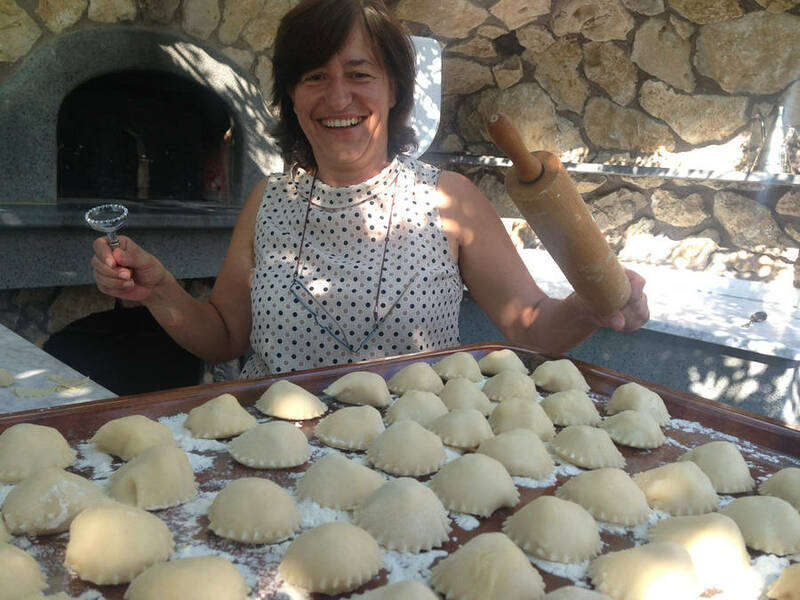 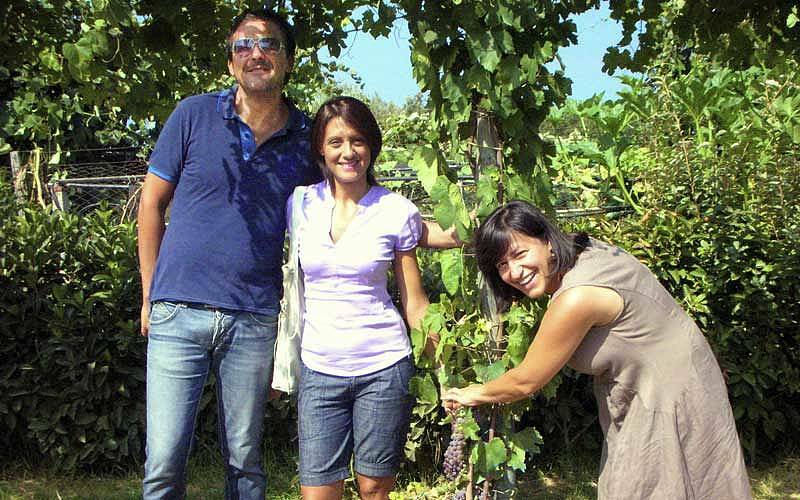 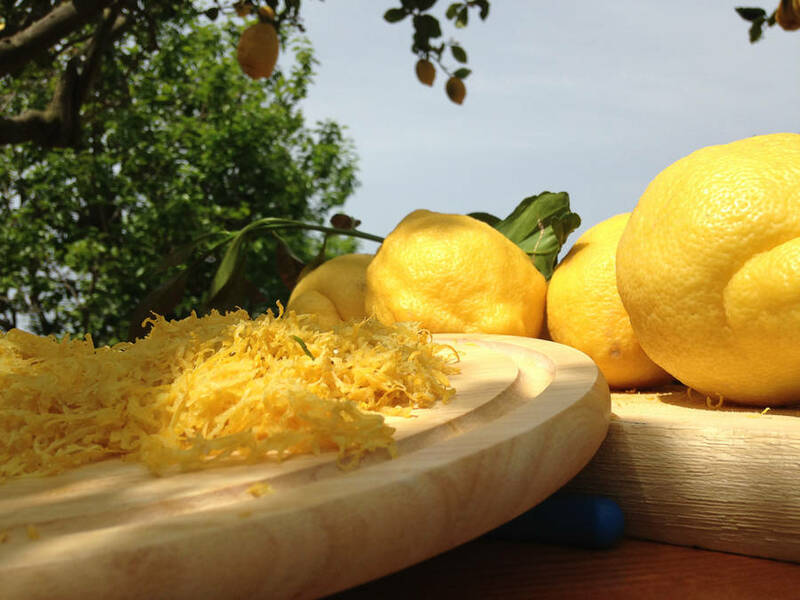 "The perfect place if you want to discover the wilder side of Capri, far from the glitz and glamour. "